At the beginning of last month we took a tour of the fire station. We got to look around the inside of the office and see where the firefighters went to relax, sleep, eat, and train. We also saw the chief's office and got to hear how the day-to-day routine went when there was no call to take. The tour of the garage was next, and that's where we got to see the fire engines. The kids thought it was awesome, but I was pretty impressed too. The chief let the boys tour the inside of the truck. That's my little one at the end of the line in the picture above. This is the other side, he's on his way out. Of all the things to get excited about.. he was thrilled he got to sit on the seat of the truck. a good number of things on the truck. It's really pretty amazing how efficient the trucks are at utilizing space for useful things, allowing for a sufficient system to be created to help with whatever type of emergency or assistance might be needed from something that has to be mobile. 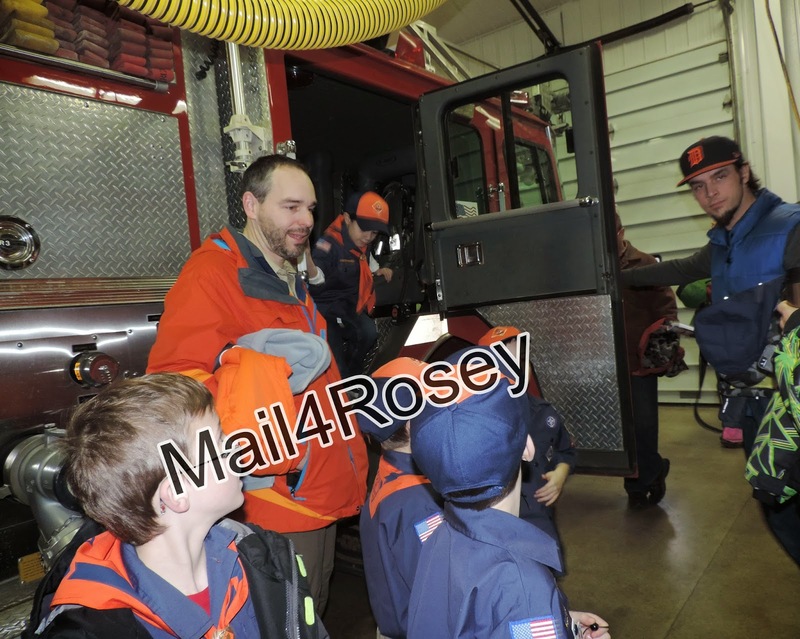 All of the kids were pretty psyched about learning the real workings of the trucks, and it was definitely an interesting and fun day for the Scouts. The day we went happened to coincide with practice runs for trainees. This ladder was extended very high in the air. Surprisingly, it didn't shake or falter a bit with the weight of the man on it. One treat we had that we might not have come across on any other day was the training. Men and women training to be firefighters were performing vigorous exercises to get them ready to become official. The one the kids liked the most (and us adults were pretty mesmerized to watch too) was the ladder climb. I wish I'd have thought to ask how high up that ladder extended because it really was way up there. Amazingly, the ladder didn't shake a bit with the weight of the person on it, not even when he got to the tippy-top. I imagine climbing up there with a load of heavy gear is no easy task. If you have to guide a person down with you too, I imagine it's even more of a challenge (especially if the person being guided is apprehensive). 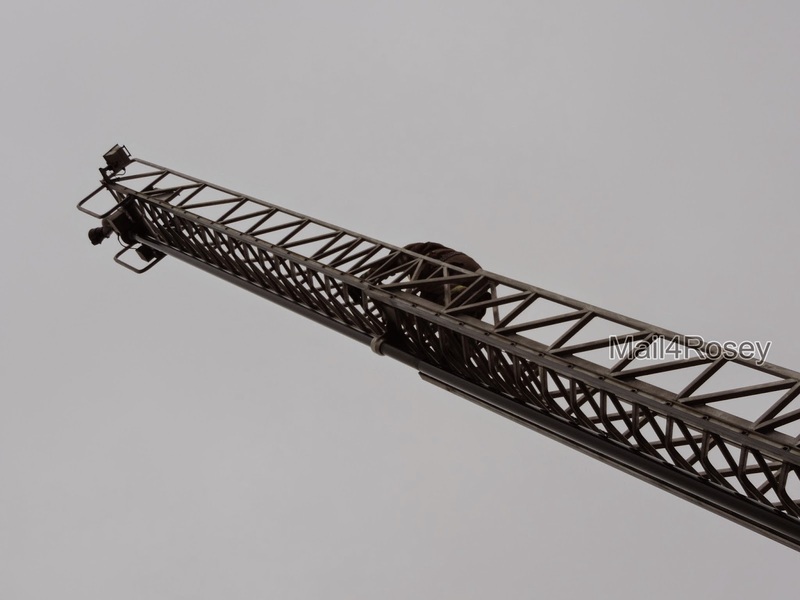 On the side of the fire truck, there is an intercom system that reaches the firefighter on the ladder, so he/she can readily communicate with whomever is down below. Once a trainee would reach the top, the chief would push a button and ask them how it was up there. The guy in the picture above said it was cold! lol He wasn't wrong. It was definitely a chilly day to be out training. A photo opp with the chief who was kind enough to give us a tour. We did the group photo opp at the end of the tour, and the kids all got fire hats and coloring books. Definitely a fun outing for the day. What a fun experience for the kids. And even with no shaking, I wouldn't climb the ladder. Would you? I think it'd be cool to climb it. I wouldn't want to climb it with heavy equipment though. What kid doesn't love a firehouse tour?!? Fire trucks are sure cool! It looks like they all had a blast. That was a great visit, very instructive and fun! It is good to instill a better understanding in kids of what it actually takes to do some of these jobs, that may sound fun, but is dangerous and hard work! That's what I was marveling about when I was there, Rose-Marie. I knew it was dangerous work, but seeing it up close def. reiterated the point. Hands on tours are great and extra with the training too. Sounds like a great time indeed. I'd climb that ladder without thinking twice about it. The Boy Scouts firehouse tour is so much fun! I remember those days! You were lucky to get to see a training day & the trainees climbing that ladder! Yikes! Too high for me. I remember doing this with my son when he was about that age. He'll be 45 this year. We still talk about this event to this day. Firemen rock. Glad he had such a good time - it brings back so many memories of when my kidlets were younger! So much fun. I think your grandson's the right age to love this, yes? Although he is getting so big now!! How fun! We went about 2 years ago... I need to try and take him again soon. We were invited by a fireman to come visit one, so we might do that this weekend. I think it is great that your son got to see how a fire department runs. Kids love those fire trucks.. Don't they? You know I have never been up close with a fire truck. It is really neat to see them up close and really get the general feel of what it's like to be in one for work. Thanks! You brought back some good memories. In the early eighties, I was our younger son's den mother, and "my" boys really enjoyed our trip to the firehouse. The firemen couldn't have been nicer. A great experience. Very cool! I had totally forgotten that I had taken a tour of a fire station when I was about his age until I saw this! Oh man! That looks so cool! I got to visit a firehouse once when I was a kid. It was freaking AWESOME! Awww, how cute is he? I remember doing this when my oldest was in cub scouts. I remember when my son was in cub scouts and did this tour. And one of the Police Department as well. They are so cute at that age. You will enjoy those pictures for years to come. We did that here at the NYC Fire Museum and my son loved it. 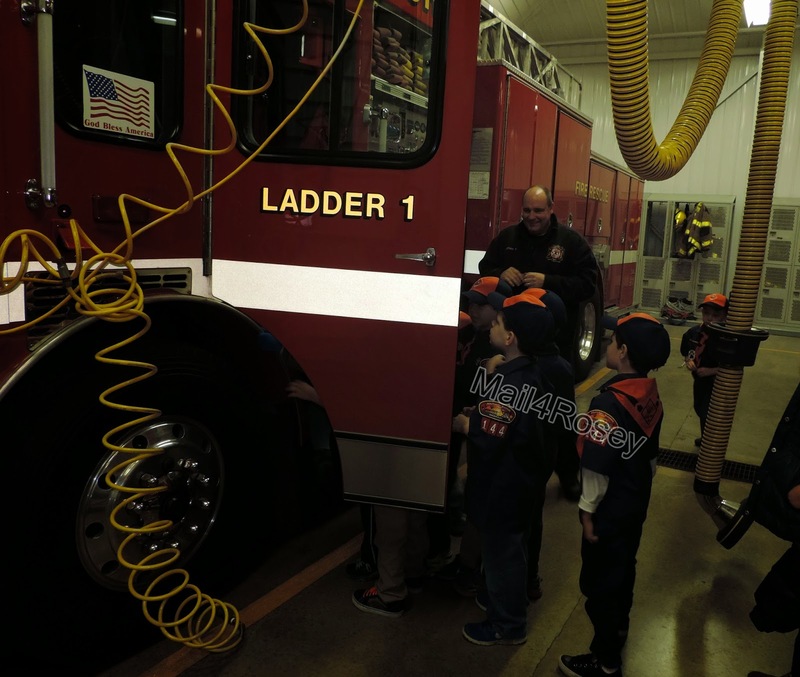 It is a great experience for the kids and it helps to teach them fire safety! I would love to see a NYC fire station. Those are some of the oldest stations in the states. So much history and honor there. I always loved going to the fire station too, even as a mom. I can't even imagine that ladder climb with all their gear. I really can't! We did a tour with our girl scout troop and they loved it! They had a blast look and touching everything. Looks like you guys had a good trip! Every kid loves a fire truck! When my oldest nephew was about 1 1/2, his Mom accidently locked him in the car & she didn't want to scare him, so she pretended to be doing something outside the car while she called 911, lol. Of course, the fire engine arrived with sirens & lights going full on! She was like, "Oh, no!" But he was thrilled! He had no idea why, but he got a full-on visit from the fire department! As a teacher I think that the firehouse is a perfect class trip. I have taken many children to visit and they really get into the whole experience. Love your pics! Perfect! My great-nephews got a similar tour as part of a birthday treat. The highlight for them was when they were allowed (and helped) to use a fire hose to knock over some road cones... A perfect present. 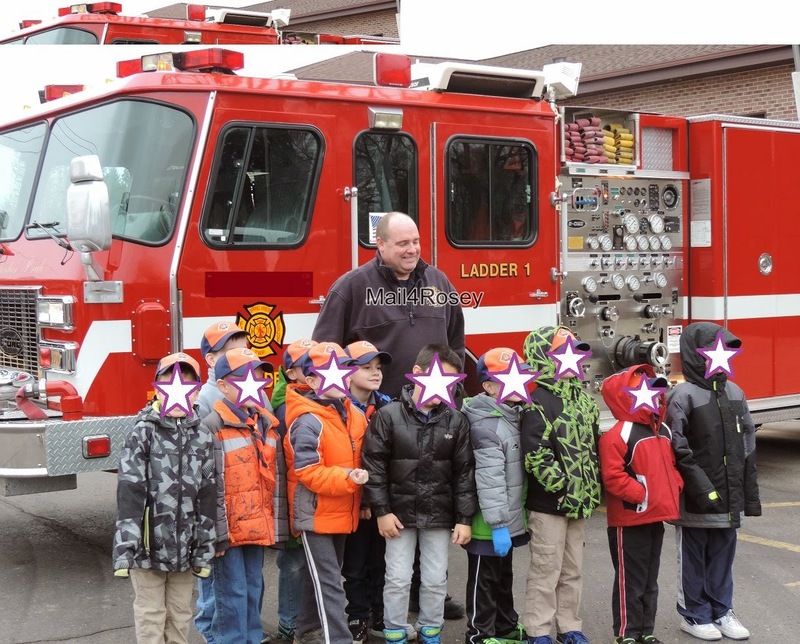 We've had the chance to do a fire station tour with my son's school and it was so much fun! Boys do love to learn about being a fireman! What a great trip for the kidlings; and isn't it a joy, seeing what captures their imaginations! That looks like fun. My Brother-in-law is a firer fighter, and used to take the boys to the station sometimes. They haven't gone for awhile though. I remember visiting the fire station when I was in Kindergarten. My daughter recently went as well. It is so much fun. What a fun outing. My girls go to tour a fire truck and the station when they were smaller and they loved it. Looks like all the kids had fun! I remember doing something similar to this when I was a child. Everyone always had fun! I have always wanted to try climbing that ladder, but never got the opportunity. I love heights, so I'd love to experience that. I always loved visiting fire stations when I was a kid. Looks like yours had a great time. What a fun experience! My kids loved visiting the fire station when they were little! I really need to bring my daughter to the fire station. She saw a firefighter not long ago dressed in his gear and it scared her pretty bad. I need her to realize they are good and in case of an emergency I don't want her to be scared on them. What an awesome experience. Looks like they had a great time. I love firefighters, it sounds like the scout and adults had an amazing time at the fire house. Kids LOVE the fire station and the fire fighters are aways so nice. We have friends who are fire fighters and they love showing kids the station and the how things work. It looks like they as a fantastic time. 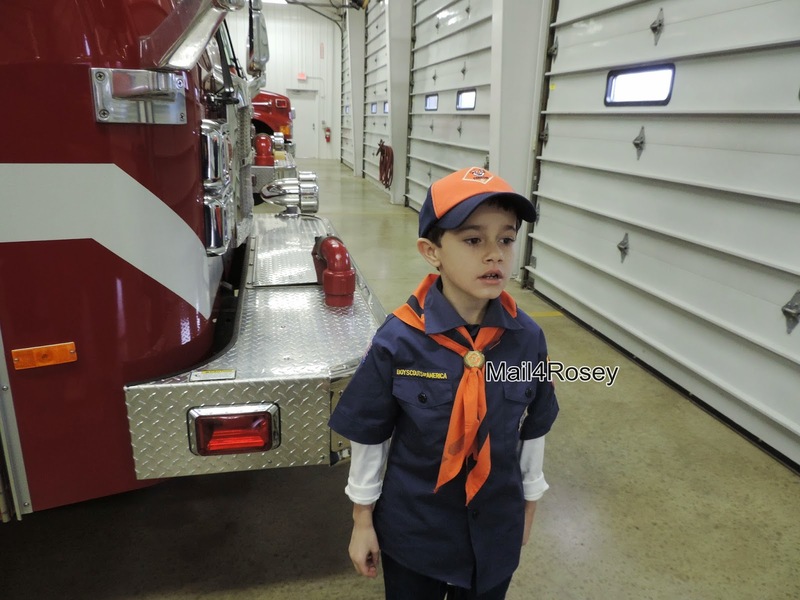 What a fun adventure for the kids my boys would love to visit a fire station. This is so cool. I've seen Sesame Street feature fire stations a lot when I was little and it's one of those places that I would like to visit & tour. I don't think our fire stations here as a nice as the ones in your country. Lol. I am envious. Really, I am. Looks like they had a great time! I'm so glad they can do that for the community and encourage and educate the kids to learn. Oh, how fun! I want to do this with my kids. It looks like such fun and my boys are obsessed with fire trucks and such! We did this with kindergarten class in September. My brother in law is a firefighter so we have the luxury of being able to visit whenever we like. My niece really enjoyed visiting our local fire station. So much fun for the kids! We love firetrucks in my house. Little guy screams "Weeeeooooo, weeeoooo," whenever one passes by. Looks like you got the full experience--I don't think I've ever seen the ladder extended! This was one of my favorite activities when I was young. Looks like you had a great time, too! That's awesome! I want to take my girls! They would love a firehouse tour! We have gone to several firehouses on homeschool field trips. It is always a great hands on learning experience. I remember visiting the fire station with my class when I was a kid. It was an experience that I will never forget. What a fun and cool place for a kid to visit. My girls loved going to the fire station with their Grampie, my dad. I bet there was a spark in some of those boys dreaming about becoming firefighters after the tour! How lovely that they were so accommodating letting the kids get hands on with the equipment! Omg how fun!!! My princess went to a fire station last year and even though she was kinda too young to know what was actually going on around her... She still had a blast! Cool! I wish we were able to do something like this when I was younger too! This is awesome & I can see the kids have enjoyed so much & has had a great experience as well with the visit. I am sure they might have learnt a lot & had fun with fire trucks. My son was obsessed with fire engines and firemen when he was younger. Luckily for us, we don't live too far from a fire station so we were able to visit often. My son gets a mini thrill every time he gets to go too! What a special experience! I actually remember visiting the firestation as a kid. It was so fun so I know the kiddies enjoyed it too! Hahah I love how you used stars to cover their faces. Cute. The Fire House is such a cool place to visit. I visited when I was young. We had fire training how to get out of your house - and such. As an adult I worked at City Hall and the fire station was across the street. I had to go there often and that sense of family and pride was all over in the atmosphere. What a fun experience. My son would love this. This is awesome!!! I love taking kids to see the people who are true heros! This is so much fun! I know my kids would have a great time as well. Something I need to do with them. Thanks for sharing. Love the pictures! And definitely a great time to be there when they are training! My daughters love the fireman and police officers. Thanks for the gret idea for our next Brownie field trip! I just stumbled onto this post again, and it's worth commenting on twice. I took a tour of a firehouse when I was a kid. 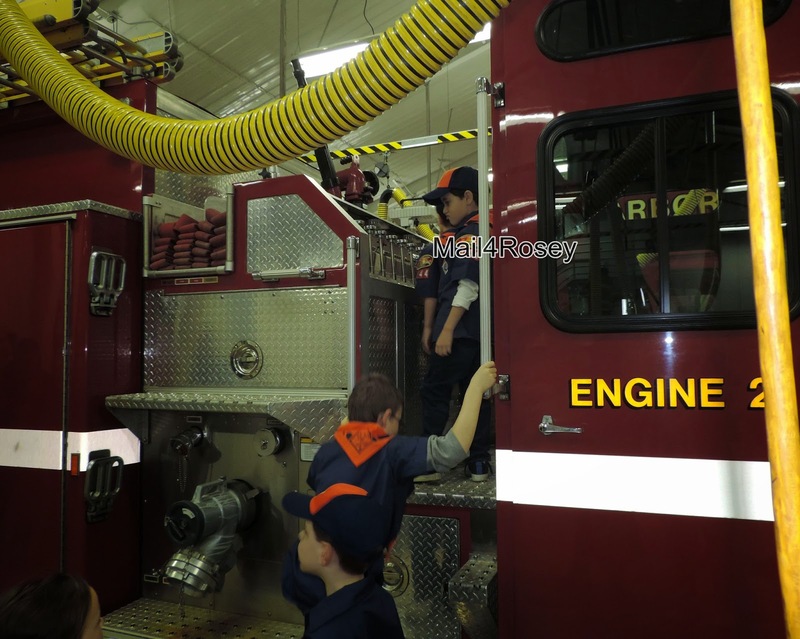 If you are a parent, and you have the ability to take your kids on a firehouse tour, do it. It's epic! What a fun and educational experience! The school my children go to take all of the kindergarten classes to the fire department, this way if they don't join boy scouts or girl scouts they still learn about who fire fighters are and what they do.